Miss Peregrine’s Home for Peculiar Children has been dazzling readers for the last few years, but this September, the magic comes to the big screen! Here are both trailers along with stills from the film! I really can’t wait to see this adaptation! The book is so grand, that I really think only Tim Burton could bring something this strange but absolutely believable to life. You can watch both trailers for the film below, and check out the stills, too! Do the characters match up to your imagination? This poster is absolutely gorgeous! SynopsisFrom visionary director Tim Burton, and based upon the best-selling novel, comes an unforgettable motion picture experience. 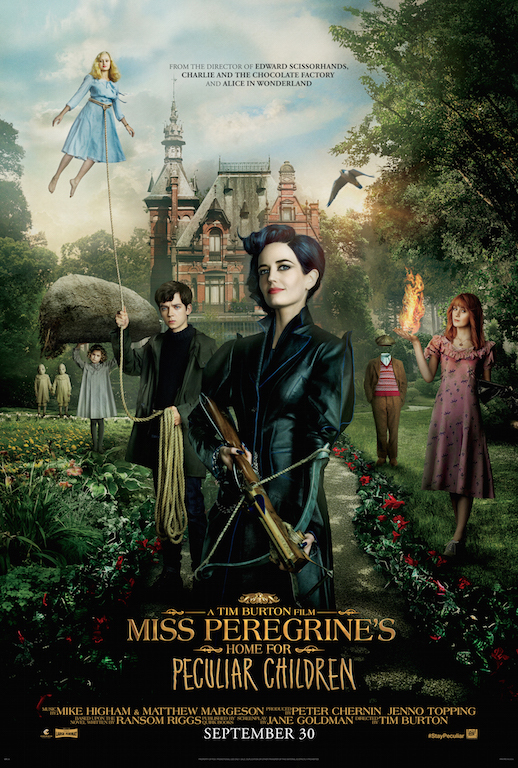 When Jake discovers clues to a mystery that spans alternate realities and times, he uncovers a secret refuge known as Miss Peregrine’s Home for Peculiar Children. As he learns about the residents and their unusual abilities, Jake realizes that safety is an illusion, and danger lurks in the form of powerful, hidden enemies. Jake must figure out who is real, who can be trusted, and who he really is. Miss Peregrine’s Home for Peculiar Children went to VidCon this year! At the event, best selling authors John Green and Ransom Riggs had a Peculiar Conversation at the Mainstage of VidCon, where they showed fans an exclusive inside look at the upcoming film and also discussed what it means to #StayPeculiar! John and Ransom also debuted “A Peculiar Tale” video, which features “peculiar” VidCon creators Andrea Russett, Andi Case, Jody Steel, Ella Purnell, and Megan Batoon. Check out their tale below! Miss Peregrine’s Home for Peculiar Children hits theaters on September 30.